When booking your Q-SAFE Practical Driving Test, choose a time that’s convenient for you and the person taking you to the test. Make sure your test won’t clash with school or work commitments, as you want to be able to focus on the test. It’s also a good idea to think about traffic conditions in your area. Try to avoid peak times that would mean driving in heavy traffic. Although you will be able to handle these conditions by the time you’re ready for the test, heavy traffic probably won’t help you pass. You should be setting yourself up for success and driving in moderate to light traffic is likely more conducive to passing. Times school zone speed limits apply in your local area should be considered when booking your test. Although there is no need to avoid these times, you should be aware of the zones so you don’t accidentally exceed the speed limit. You should also factor in that school start and finish times usually lead to increased traffic in school zones which you may wish to avoid while being tested. Although weather is difficult to predict when you’re booking your test it will be an important factor on the day. It’s a good idea to ensure you’ve exposed yourself to poor conditions while learning as you’ll be expected to adjust your driving to the conditions (e.g. slowing down, leaving larger gaps when following and requiring larger gaps when entering traffic). A good plan is to book a final driving lesson with your driving instructor on the day before or the day of your Q-SAFE Practical Driving Test. A local, accredited driving instructor will likely know the routes taken by the Department of Transport and Main Roads testing officers and where they will ask you to perform manoeuvres (u-turn, hill start, reverse park, reversing exercise, three-point turn, automatic gear change). You can use this last lesson as a test-run for the real thing, acting out the entire process with your instructor providing feedback where necessary to improve your performance for the real test. It’s important to get a good night’s sleep, stay hydrated, and make sure you eat before the test. Although not physically taxing, tests are often mentally draining and you want to be at your best to ensure you pass on the first go. You should arrive early and try to get a park close to the testing location. You can also position your car so you are on the right side for the route your driving instructor has shown you. Although the testing officer may choose another route, you’re giving them a push in the right direction by setting yourself up to head that way from the outset. Make sure you’re aware of what you need to bring to the test and the test and licence fees you will have to pay. These administrative details can be found on the Department of Transport and Main Roads website. Nervousness is expected before and during your test. Everyone who sits the test will be nervous - it’s inevitable. Ultimately your success in the test will be determined by your preparation. If you prepare well, you’ll pass. So when the nerves creep in, remember your preparation and how far you’ve come since you first began driving. You’ve undoubtedly made significant progress and should only be taking the test if you feel confident in your ability to drive safely and independently. As your accredited driving instructor is aware of what will be tested, if they are confident you can pass, you will likely do very well. It’s also important to remember that the testing officer understands you will be nervous. Although this won’t excuse dangerous or poor driving, it will factor into their consideration of small excusable errors. Throughout the test it’s important to remain calm. Focus on the task at hand and let things happen naturally. Don’t think too much or force things – you’ve got the ability, so just follow the testing officer’s instructions and you’ll be fine. Don’t worry if you think you’ve made a mistake. Whether you did or didn’t is irrelevant as it’s now beyond your control. You need to remove it from your thoughts and refocus on the task at hand – driving safely. Dwelling on an error will only cause another, so let it go. If you don’t hear or don’t understand the instructions provided by a testing officer, calmly ask them to repeat what they’ve said. If you don’t fully understand it’s better to clarify rather than accidentally not following what you’ve been asked to do. There are a number of fail items that will prevent you from passing. Details on these items can be found in the QLD Driving Test summary of Your Guide to the Q-SAFE: Practical Driving Test. 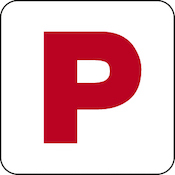 For comprehensive information on the provisional P1 licence and Q-SAFE Practical Driving Test, please refer to the Department of Transport and Main Roads website. The above information is a summary of this content and although current when published may now be outdated. To ensure you are accessing the most current and accurate information, use the Department of Transport and Main Roads website or visit your nearest Transport and Motoring Service Centre.